There are some places that are so welcoming and friendly that they have become some of my favorite memories of those visits. 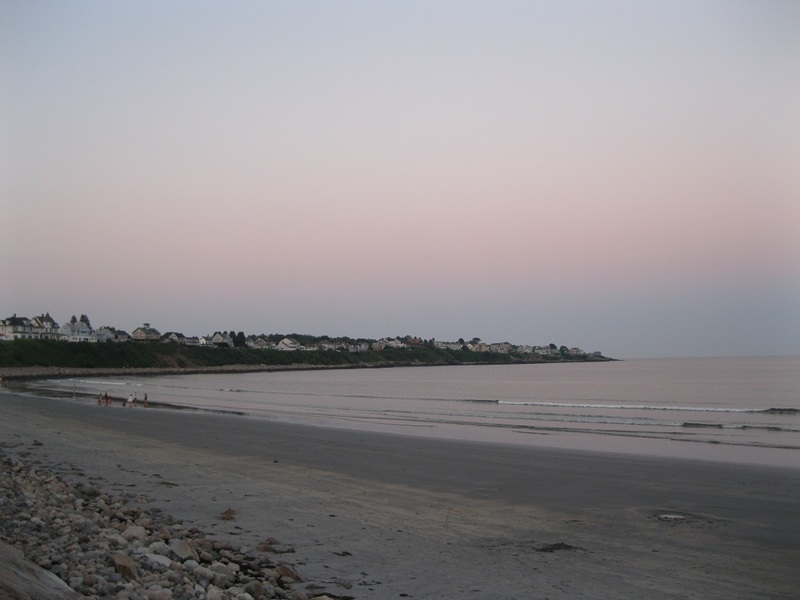 When I was growing up my family used to drive to the coast of Maine during the summer to go to the beach. 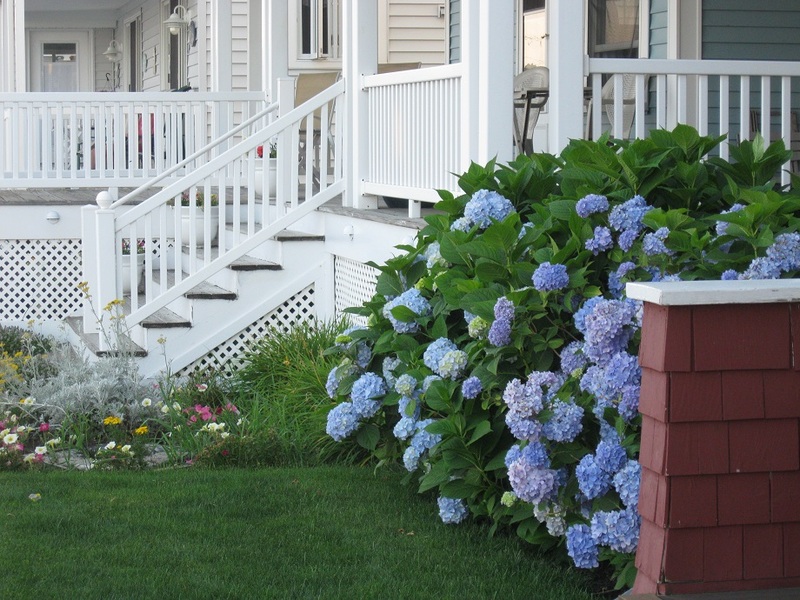 I had the opportunity to return to one of these beach towns recently and I found the same sense of relaxation and fun that I remembered from the past. 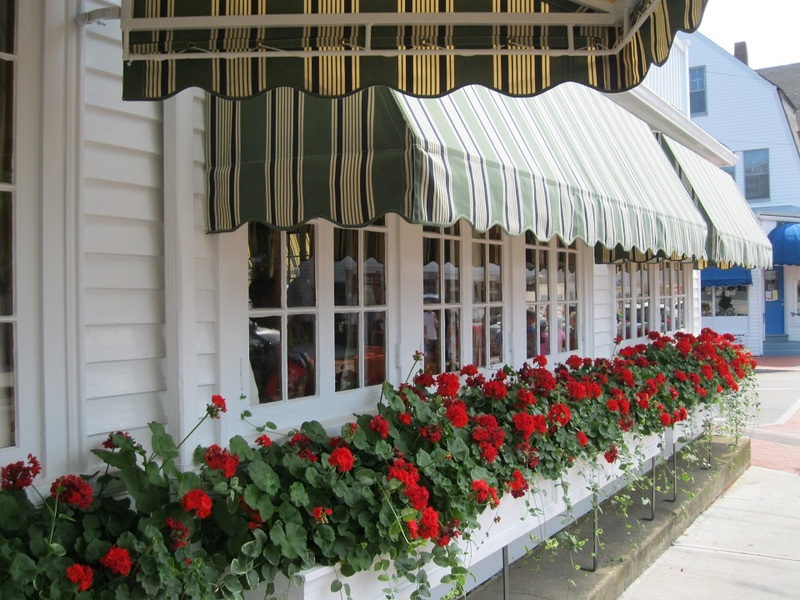 In addition to the ocean there are shops, ice cream stands and summer cottages that make a visitor feel welcome. Here are some of those inviting scenes. For more on this subject look here. Now that it is the end of the year I’m remembering all the places that I visited in 2013. It started in January with a trip to Seattle. A few months later I had a wonderful visit to Spain and France. 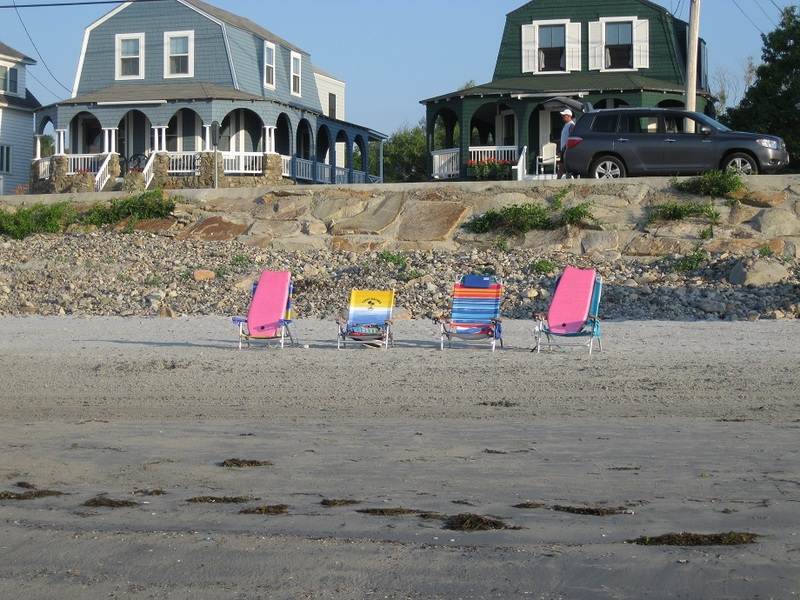 During the summer I was in Chicago, and then in July there was a stay by the beach in Maine. 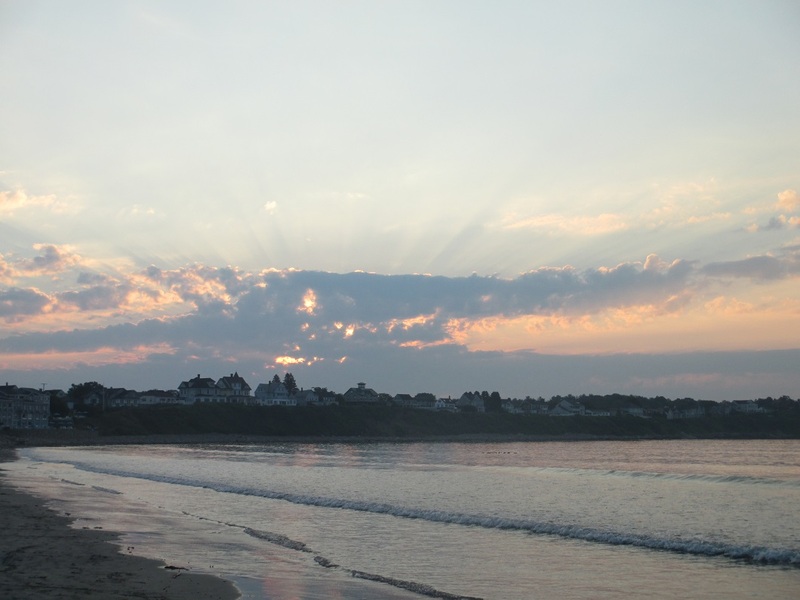 In September I was in England and spent time both in London and Cornwall. And last month I got to see Hoover Dam in Nevada. Next year I’m making plans for more travel, including an upcoming move to Virginia. I’m looking forward to lots of new adventures. Happy New Year! My family used to take weekend trips to the beach when I was growing up. Whenever we got close to the water we would roll down the car windows to be able to catch the fragrance of the ocean even before we could see it. This was one of my favorite childhood memories. 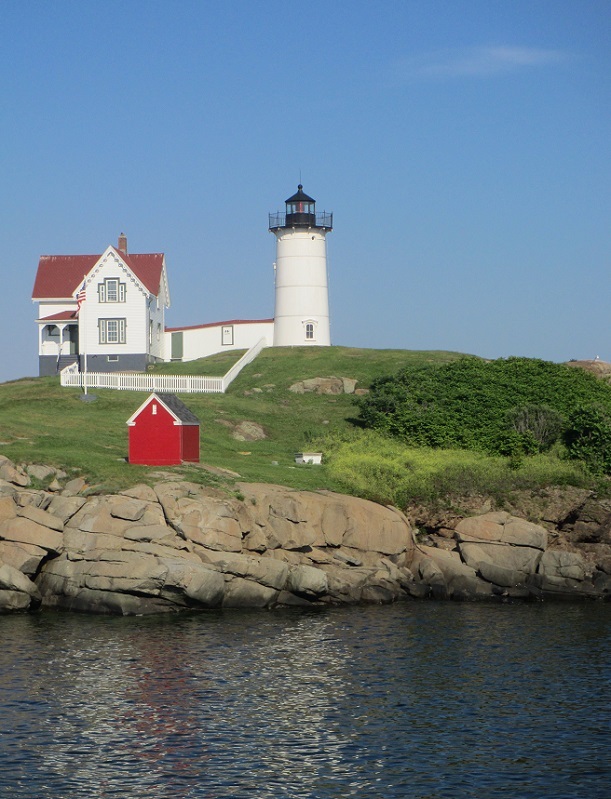 These pictures from the coast of Maine remind me of the excitement of that first scent of the ocean. 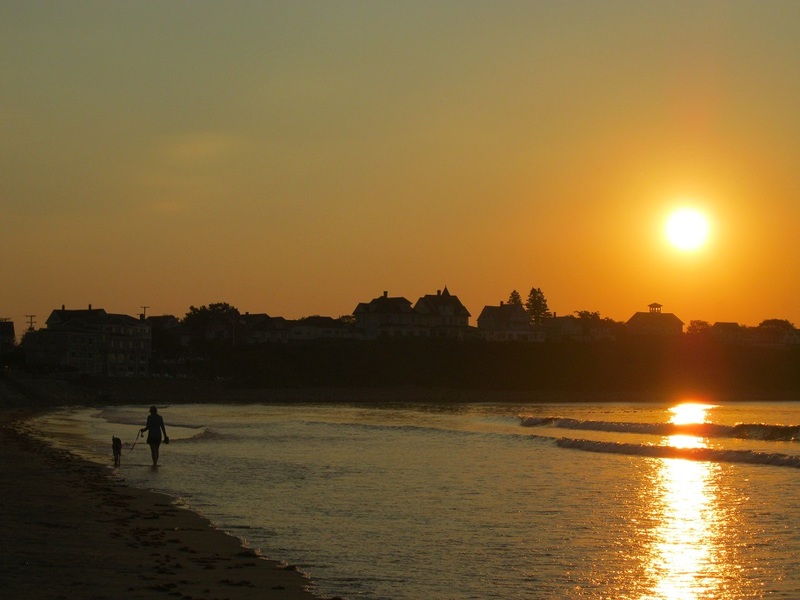 One of the best parts about a beach vacation in Maine means the opportunity to see the sunrise. I decided to do this and I actually was awake and outdoors early enough to see it two days in a row. It looked completely different each day and yet I couldn’t say which one I liked better. This is the kind of research I enjoy and I’ll have to repeat it next summer! I am happy to say that I’ve seen lots of flowers this year and they are a welcome sight. It started in January when I was in Seattle. Although it was winter there were buckets of flowers at Pike Place Market. In late April I took a walk in the Great Smoky Mountains in Tennessee in time to see some dainty wildflowers growing along the trail. Next I saw cheerful flowers in Barcelona followed by late spring blooms in Paris. And just recently I was in Maine. Even though flowers differ by season and climate they are always beautiful. 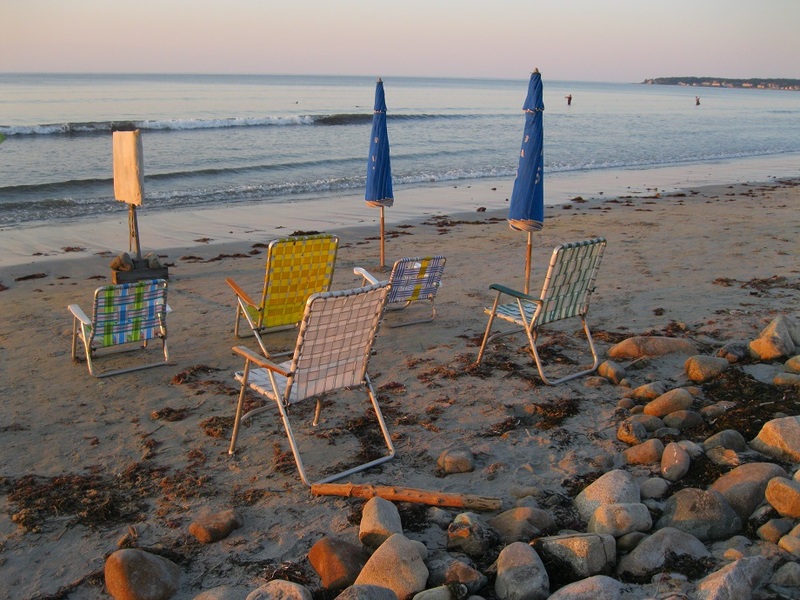 Getting to the beach early makes it easy to find a good place for some chairs. The sky is bright blue with no clouds in sight. This looks like the beginning of a carefree day. Taking a vacation in the summer is something I did with my family when I was growing up. Everyone enjoyed the time off and I remember collecting seashells in my brightly colored pail and building sand castles at the beach. Now I’m likely to take a vacation in May or sometime in the fall because the places I want to go are less crowded at those times. I like to go somewhere that’s on my travel list and really explore. Since I prefer not to travel when the weather is too hot I actually avoid the summer months. Still, there’s something special about taking time off during the summer and relaxing by the water. 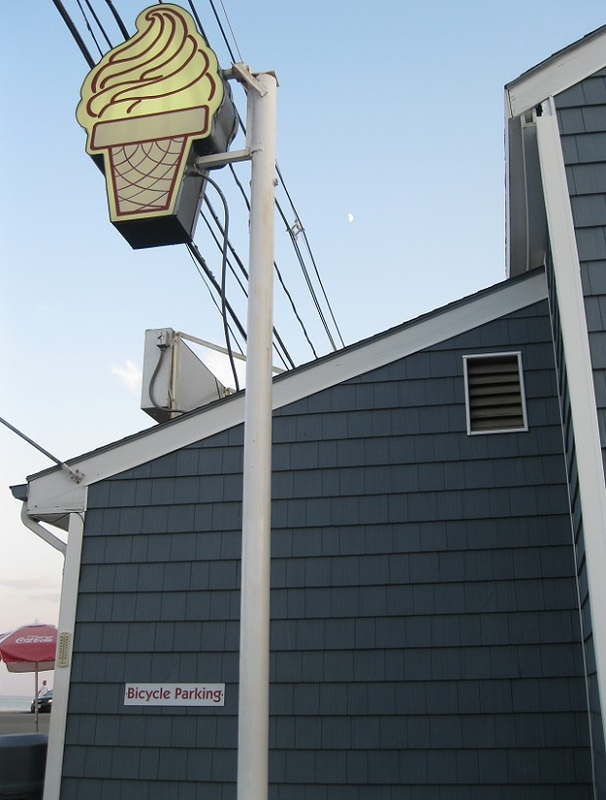 I have pleasant memories of being by the ocean and realizing that the biggest decision of the day is whether to have vanilla or chocolate ice cream. This is actually quite difficult for me and I would probably have a scoop of both. Summer and vacation go together well. After my trip I decided that July is a great time to visit Maine. While I was there it was hot during the day but in the evening a breeze from the ocean made it much cooler. Lots of people were at the beach and there was plenty of room for everyone’s chairs, blankets and umbrellas (at least before high tide). I heard people say that the water was slightly warmer than usual. During the afternoon when the sun was so bright I visited the local lighthouse and then went into town to shop and stay indoors for a while. Here are some of the places I saw. An early bird at sunrise. 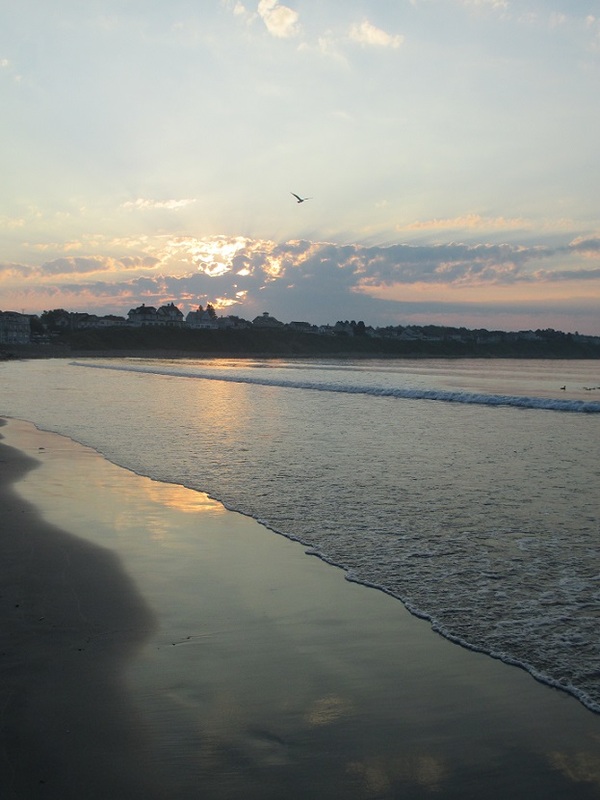 I’ve been enjoying my time at the beach in Maine. 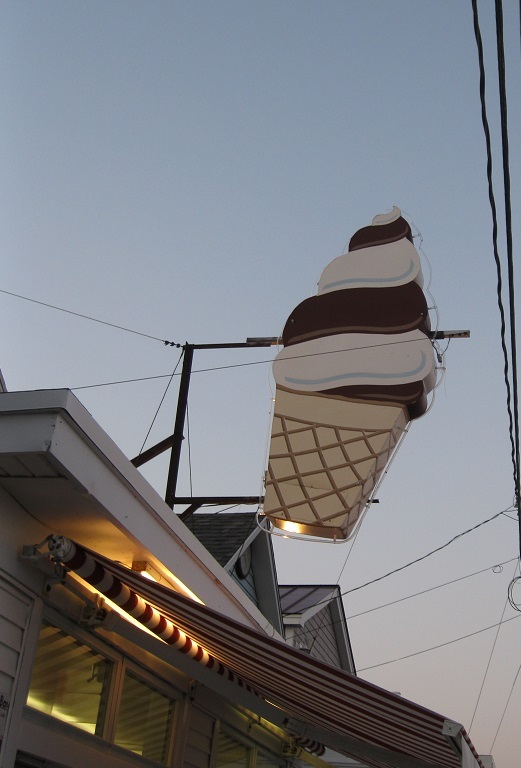 I happened to notice a sign for ice cream when I was on an evening walk. This is a treat I always enjoy so I stopped for a small (or it might have been a medium) cone. As I continued to walk I saw a street sign that was also tilted. I liked the name and thought it was just right for the area. 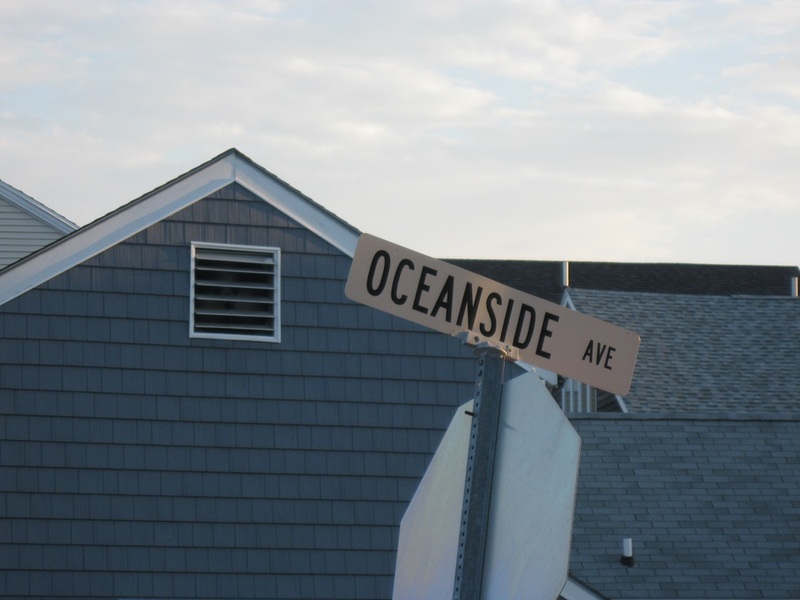 When I looked beyond the street there was the ocean. It is quite a pleasant view at sunset, especially when you’re eating ice cream.